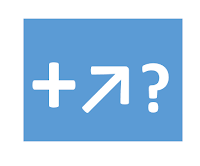 Giving written feedback using the plus, the arrow, and the question mark can make your feedback more useful and the process of giving feedback more pleasant. Many people frequently receive written feedback to what they have written themselves. Written feedback can fulfill an important function. Other people may have more knowledge and a different perspective which may enable you to learn from them. Also, feedback may help you check whether what you have written is clear and comes across as you intended. But feedback may sometimes unintentionally have a demotivating effect. Many people who give feedback tend to leave what is right about a text unmentioned and only make remarks about what in their view is wrong about it. And sometimes they also do this - with the best of intentions, no doubt- in sharp words. I remember that I had once - many years ago - written an introduction for an article which I was writing together with an older colleague. The colleague had written in the margin about this piece "blabla". She was surprised that I was offended by this. But I was. I had put a great deal of effort into writing it and I thought it had turned out rather good. I found her feedback annoying and not constructive. Based on this experience and other experiences I have thought a lot about how one might give feedback in a way which is useful and which, at the same time, does not discourage or annoy the receiver. Eventually I came up with a way of giving feedback which uses pluses, arrows, and question marks. Pluses are about what I think is good about the text (I do not necessarily write down a plus sign; rather I write down what I think is good about the text). Arrows are about what I think could be improved in the text. If I have suggestions about how the text specifically might be improved, I add that. The question marks are about what I do not understand in text or what I am not sure I understand. "In the last training session we have worked on giving constructive feedback. 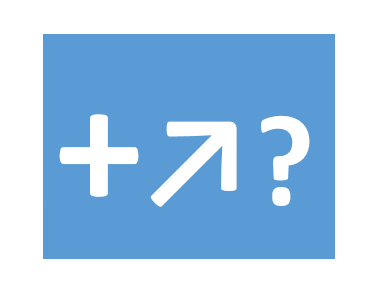 For two days on end I have now been reviewing products made by students and applying what we have talked about: the plus, the arrow, and the question mark. I now see so clearly that in this way I am making an actual contribution to the development of the student. Sometimes I have to search a bit but it makes assessment much more fun." There is one remark I would like to add to this. Research has been done which suggests that the more competent someone is the more that person is interested in feedback about what could be better and the lesser in feedback about what is already right. Beginners, however, according to this study, would be more interested in getting positive feedback. This study suggests that the technique of the plus, the arrow, and the question mark may work particularly well with people who are still at the relative beginning of their development. Is giving written feedback part of your job? My suggestion is to try the technique of the plus, the arrow, and the question mark. Do let me know how it worked.